1. 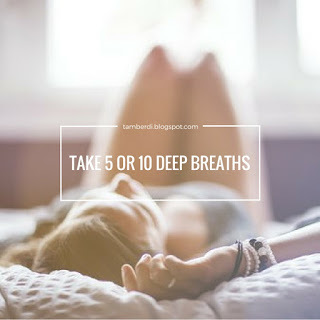 Take around 5 or 10 deep breaths. I would say to firstly, before anything else, wake up and get ready to take on the day with some deep and rejuvenating breaths. This has got to be the most simple way to start serving yourself from the minute your eyes flutter open; you could even do this in bed. Remember to inhale through your nose, letting your tummy expand as this uses your full lung capacity and delivers a comparatively larger amount of oxygen to the bloodstream than chest breathing. This one sounds silly, I'll admit it. Even so, you have to have a little silliness in your life sometimes. 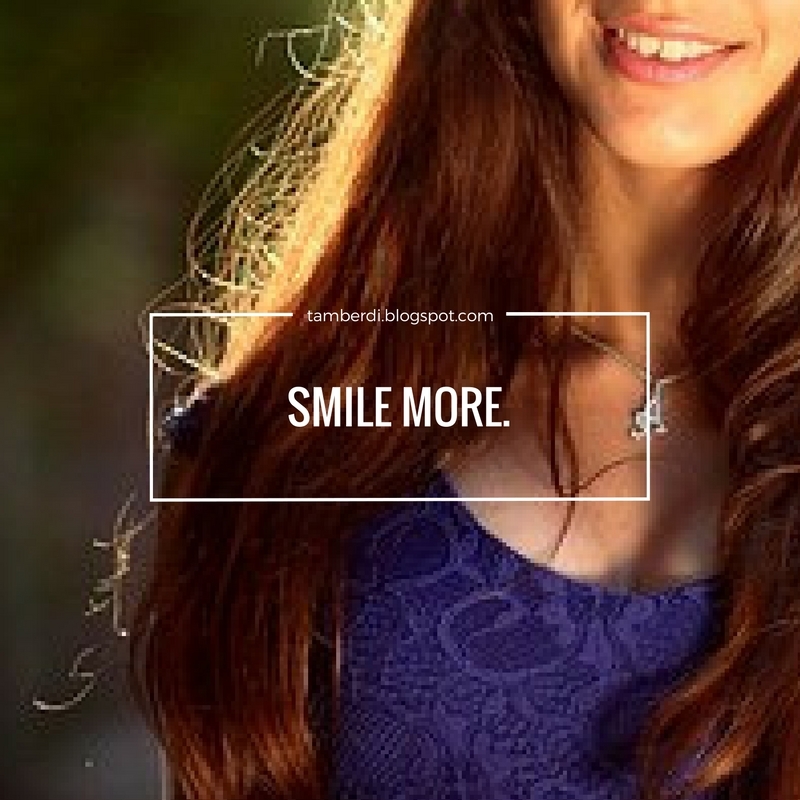 Smiling has serious health benefits, and can truly improve mood through releasing endorphins. Who doesn't want to start off the day in a good mood? I know it can be hard, especially when we haven't had enough rest, but smiling is completely free- and completely beneficial. 3. Stretch out your muscles and release any built up tension. If you enjoy yoga (like myself), I have found that developing a morning practice is revolutionary. Something about stretching before the sun comes up really just helps to let go of anything that I might have been holding onto from the days before and get ready for a new start. 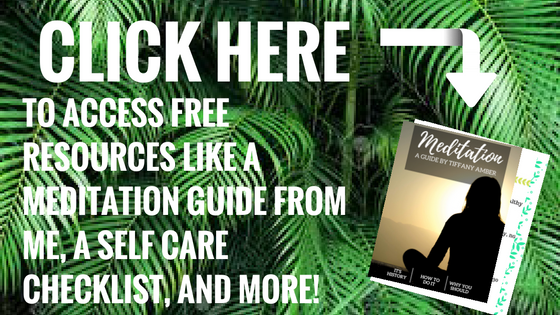 Even if you don't identify with yoga, you don't have to! A simple stretching routine can still do wonders for the mind, body, and soul without taking much time or difficulty at all. In fact, it's been shown that flexibility and range of motion in joints is associated with getting into the habit of stretching. Not only this, but when you stretch, you relax your muscles and release endorphins which promote euphoria and a feeling of overall calm while improving one's level of energy- a jump start, if you will. I could honestly go on and on about why you should do this, but you get the point. If you'd like a post focusing solely on this topic, let me know and I'd be happy to! 4. Set your daily intentions and goals. In setting your intentions for the day, you set yourself up for satisfaction, focus, and achievement. 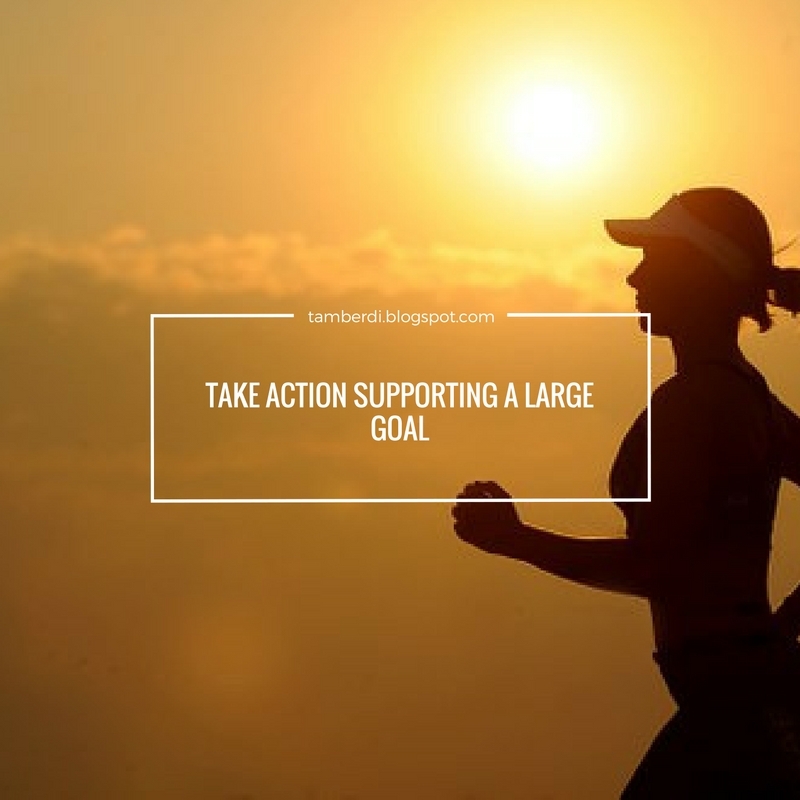 Even if subconsciously, you will be more targeted toward acting in away that supports your goals. This helps me to remind myself that I have no need to be reactionary, letting the day "take me for a ride" so to speak; I can control what I do with my time and target my actions so that they have meaning. It also serves as a reminder that I wake up so I can do things that have purpose and meaning, even if they are just to enjoy and experience what I have the opportunity to as fully as possible. It's so, so important to have appreciation for the gifts we've been given, even when they don't seem like gifts. It's more than likely that, since you're reading this, you have access to a world of things most people do not. 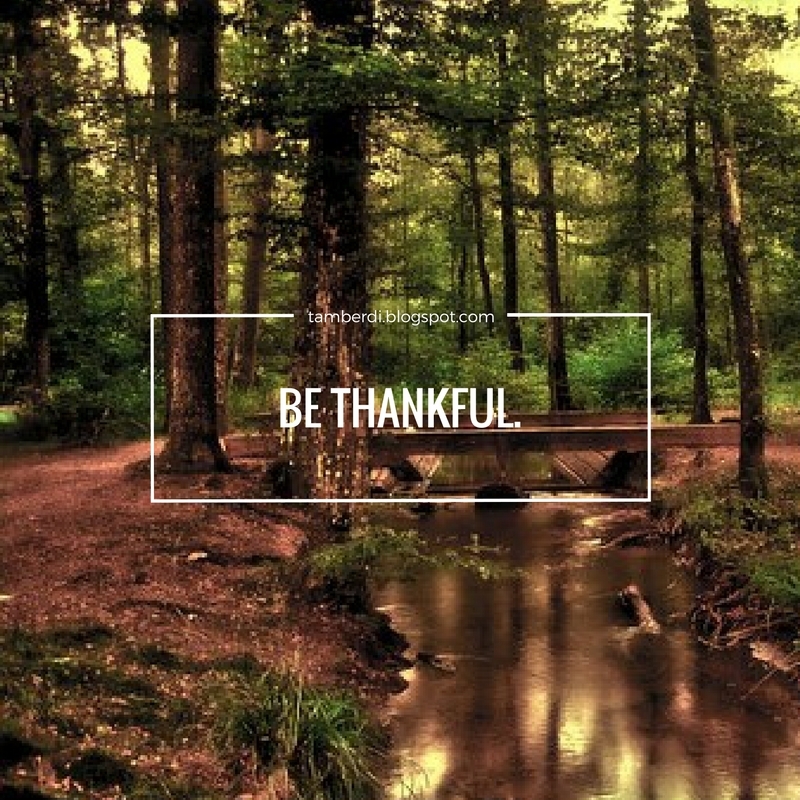 Get into a grateful mindset, and you'll have more to appreciate. 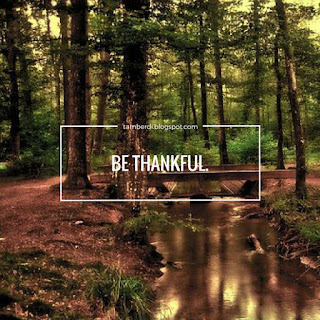 The way I practice gratefulness in my morning is through listing 5-10 things where I can; there's no need to have a fancy journal (even though you definitely can if that's what you're into). 6. 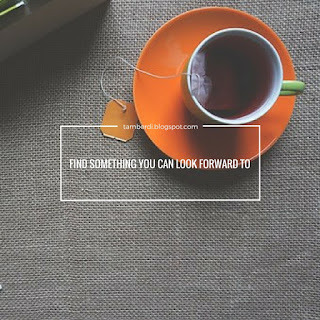 Find something you can look forward to every time you get up. Try to identify something you know will motivate you to get up and get moving in the AM. For me, this can be anything as simple as music or a cup of tea. It sounds uncomplicated, and that's because it is. No one knows you better than you know you, so decide a way to treat yourself daily. You deserve it- after all, if you're reading this, it's likely you're serving yourself daily and do good in general daily. Even if you stumbled here by surprise, I have no doubt you are of good intentions and that in itself stands as a reason to try this idea out. I think we all have some big dreams or goals that we might not know how to take on. 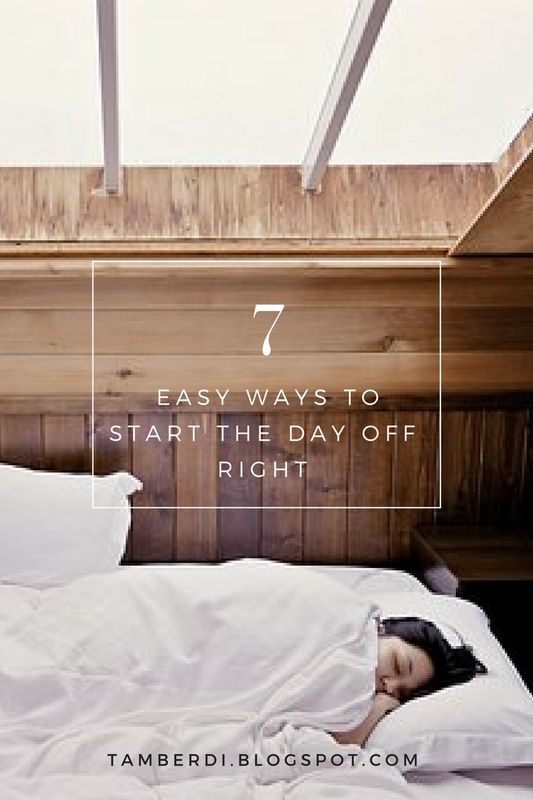 When you think about it though, if broken up into teeny tiny steps and taken on every morning, these tasks become both more accessible and more manageable. 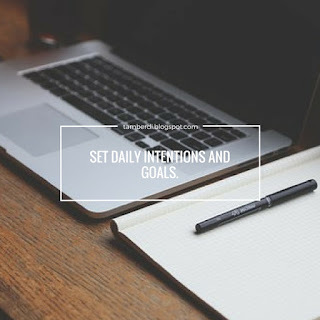 I have this a priority, and it can really help to make me feel more accomplished throughout my day; this is because even if I do by chance get caught up in unforeseen situations, I know I've already moved toward my aspirations (even if that sounds cheesy). Anyway, you're an individual, and have your own individual hopes and yearnings. Think about realizing them. That's it for today! I hope you enjoyed this post, and if you did, feel free to leave commentary below or subscribe so you can stay on top of new content when I put it up! If you wanna reach out to me, I have ways to contact me on this blog, along with a variety of social media accounts on which I am always available to talk! I love this! Nothing beats starting off the day right! This post is absolutely wonderful and full of helpful tips. 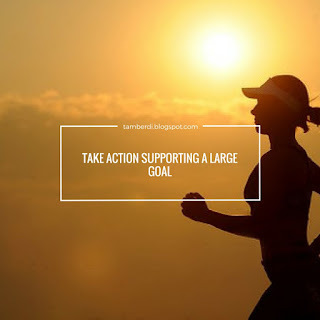 I particularly like the one about taking steps to support a large goal. I think we get so caught up in the big steps that we forget about the baby steps that can be more important. This is so great! I'm still not a morning person and I've been a mum for almost 3 years.... haha I needed these tips. Having something to look forward to always makes the day a whole lot more worthwhile! Plus sometimes it even helps the time go by faster! :D Thanks for sharing this.